I haven’t done a post like this in a while, but things have been super busy regarding launches – it’s always like this pre- summer/festive season; it gets me way too excited! Anyway, below are a bunch of beauty-related things that have stuck out to me for good reason! This product actually launched in June, however, being winter I didn't really have a chance to use it properly. I took it with me to Europe and used it daily for 2.5 weeks and I truly don't think anyone needs any other sun care product for their face other that this one. 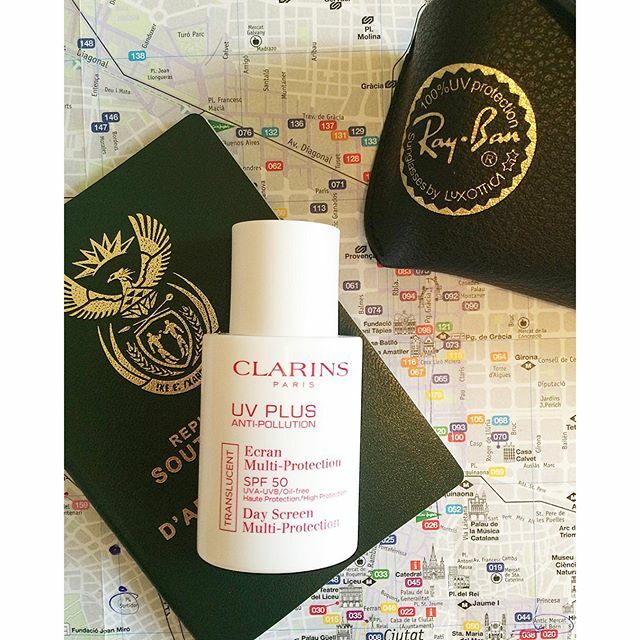 It's a non-greasy, light liquid that works like a dream under make up and doesn't feel like a suncream at all. I can't rave about it enough. Yes, it is pricey but this little bottle will last you a long time as a little goes a LONG way. Now onto haircare, I don’t actually have enough words to describe how much I love this product. It’s pricey, yes, but it really does work! It’s a serum that translates to being a Youth Activating product that contains melanin which preserves the age of your hair. Now I can’t really comment on this as I am not sure I buy into your hair ageing, however, what I can comment on is hair thinning which I have battled with. Well, not so much thinning but seasonally my hair loss gets pretty bad. Now I am lucky that I have lots of hair, but it would look that much better if the hair loss wasn’t such a big factor. The serum can be spritz on the roots of the hair after it’s been towel dried. The volume, texture and hydration of my hair was visibly better after using this product once, and has since got better and better. I truly believe this is a brilliant hair product of hair thinning or greying is a concern for you. Africology is a brand I actually haven't used that many products from, but am really intrigued by. I recently got sent their Facial Therapy Serum. 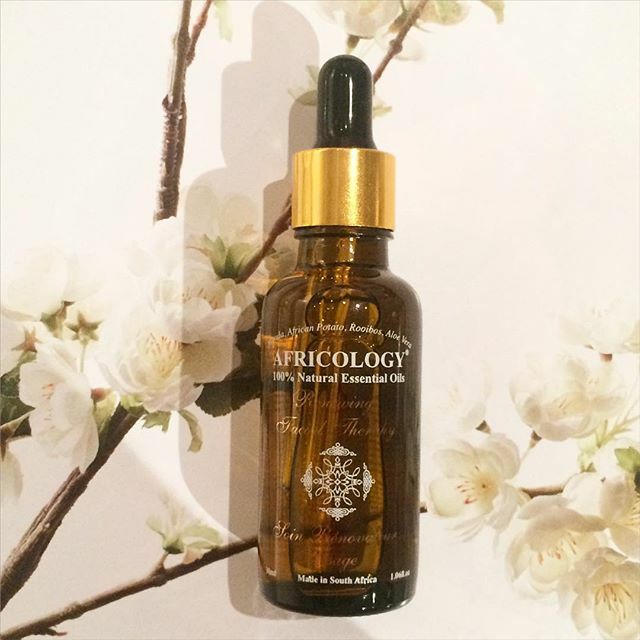 The serum is perfect for sensitive skins that are prone to reactions. I don't have particular sensitive skin, however, my skin can be prone to slight redness and irritation when it is either dehydrated, or has been over stimulated through exfoliation. I loved how calming this product is and found my skin looked plump and radiant whilst using it. It also absorbed into my skin beautifully and worked really well under make up. I was invited to the most beautiful press launch a few weeks back to celebrate the launch of Sensai's first ever fragrance called The Silk. They launched an EDP and an EDT which both smell quite different. 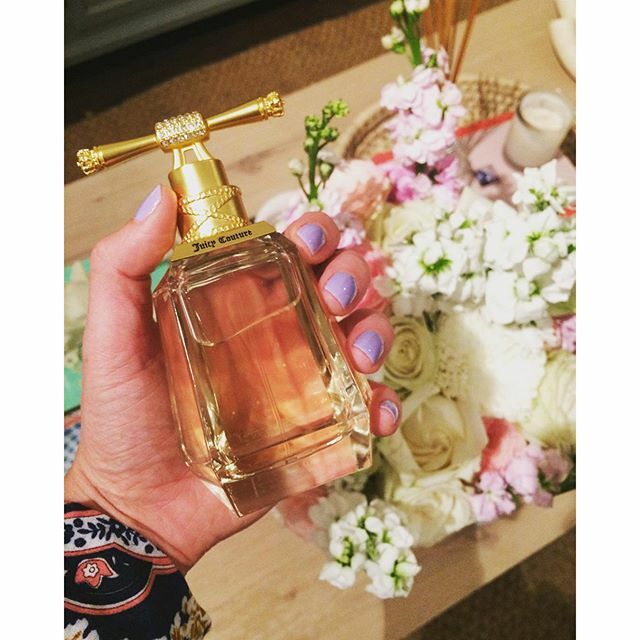 My favourite was the Eau de Toilette as it is so incredibly soft and feminine - such an easy to wear fragrance! The EDP - A sophisticated and intimate fragrance, whose aromatic notes are brought together by a sensual amber accord that caresses the skin like silk. The EDT - A delicate and radiant fragrance that sparkles with violet leaf and evolves into a bouquet of white flowers, while sensual hints of amber caress the skin like silk. 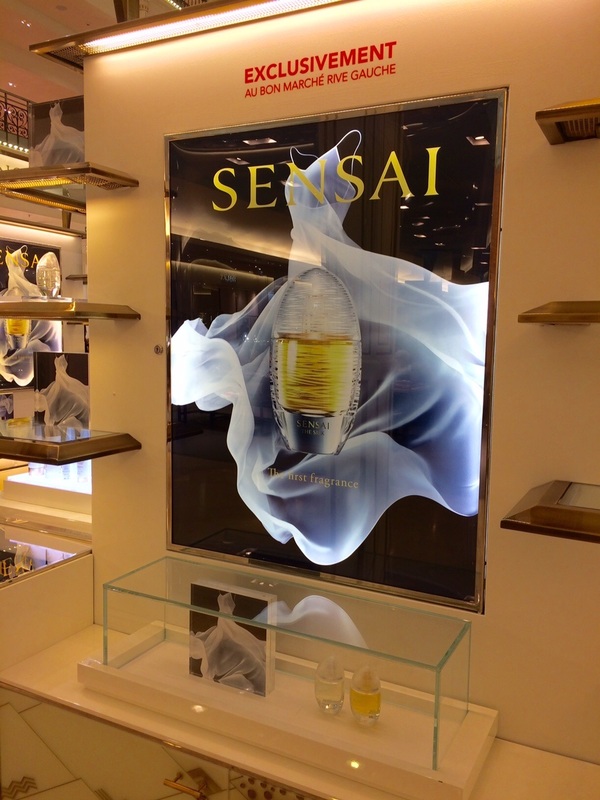 I recently returned from Europe and spent a while at the Sensai counter in La Bon Marche in Paris as they had the most beautiful, interactive display for both fragrances - see below. On a side note - Sensai spoilt me to a travel pack of their skincare which I took with me on my holiday. You guys, my skin was honestly the best I have ever seen it. I know holidays help as I was relaxed and had a dose of vitamin D but with all the travelling etc my skins hydration was still amazing and it glowed like it has not glowed in ages. I need more of these products in my life! updating the central rose notes with elegant Bulgarian rose essence to develop the idea of a fresh, dewy rose and sparkling green notes. These new additions make for a younger, fresher scent. Notes wise it opens with top notes of fresh mandarin and frozen lemon, balanced with watery tones of freesia to create a soft, dewy feeling. Infusing the feminine floral heart of Bulgarian rose essence with crunchy violet leaves and delicate peony petals, brings a freshness to the fragrance. While amber gris base notes, reveal a sensual undertone. I mean, how amazing!?! Lancôme Genefique is one of my all-time fave serums (which is nothing new to you) – it just gets to work and is one of the serums that I have really seen notable results through using. It’s amazing with plumping fine lines and making skin look more full and radiant! Their latest ad campaign is all about age and celebrating this. All of the faces of Lancôme have boldly shared their age and what they, as seen below. You can buy this online here. Looking for a new evening scent? I love this offering from Narciso - it is the L'Absolu For Her and the Bleu Noir For Her. 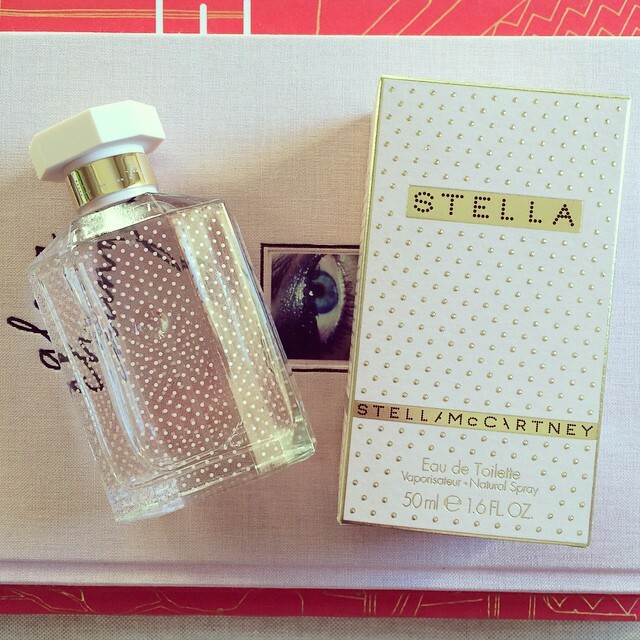 These are both really statement scents and right up my alley. 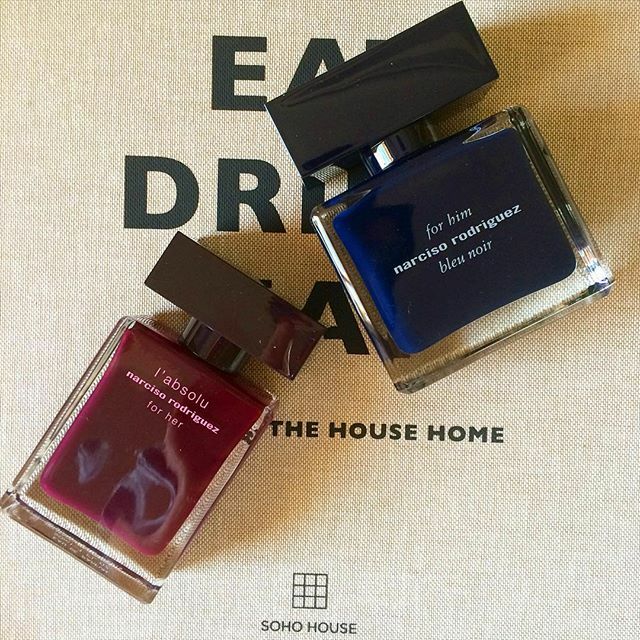 Bleu Noir - The fragrance is clean and sharp, with depth and sensuality, as well as the original fougere and musky character of the original For Him. The spicy accord consists of nutmeg and cardamom. The signature musky heart of this composition remains the same, complemented by a woody accord of blue cedar and black ebony. L'Absolu - This is a newer version of the much-loved For Her. The composition contains intense floral accords of tuberose and jasmine absolute, the signature musk heart and the base of amber and woody tones of patchouli and sandalwood. I am sure you have seen all the buzz around the launch of the latest fragrance by Juicy Couture called I Am Juicy Couture. The beautiful Behati Prinsloo is the face of the campaign which is what originally caught my eye - such a beautiful campain. I actually saw the TVC this weekend and became even more obsessed with Behati! The scent is a young, romantic floral scent with notes of gardenia and cashmere woods as well as raspberry, passion fruit, sweet pea and amber. You can imagine how feminine and pretty it is! Available from September. 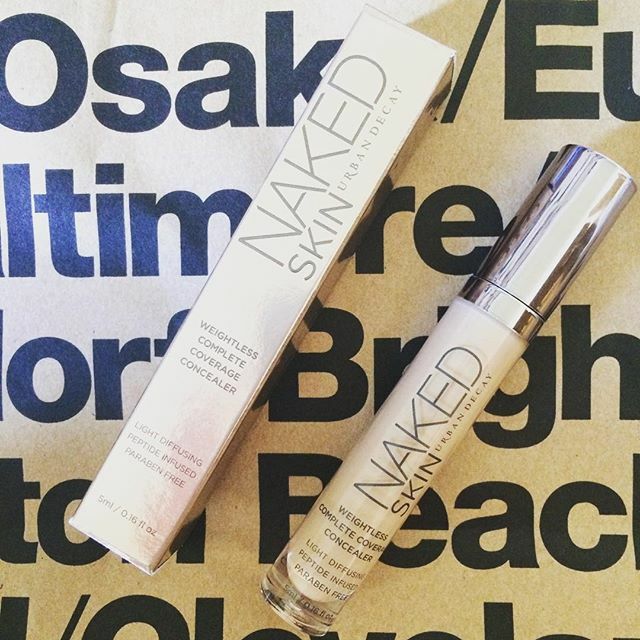 Last and most certainly not least is the Naked Concealer. I got this at Sephora and wish I had stocked up on a few. I have tried so many different concealers and it’s a product I don’t mind splurging on as when you find a good one, it makes all the difference to your make up routine. This product cos €20 so about R300 and comes in a great variety of shades. I got the shade Medium Neutral. The applicator dishes out a generous amount of product (unlike my NARS Radiant Creamy Concealer) and coverage wise you looking at medium. The product feels light-weight and dewy on the skin and sets well. I have been using this with my Real Techniques Miracle Complexion Sponge and honestly have hardly battled with creasing. I most definitely will be re-purchasing this product and can confidently say that I love it more than my trusty NARS concealer. I love Stella. Where will this be available from? I find all her perfumes difficult to get hold of. It is so beautiful - and what an amazing scent!